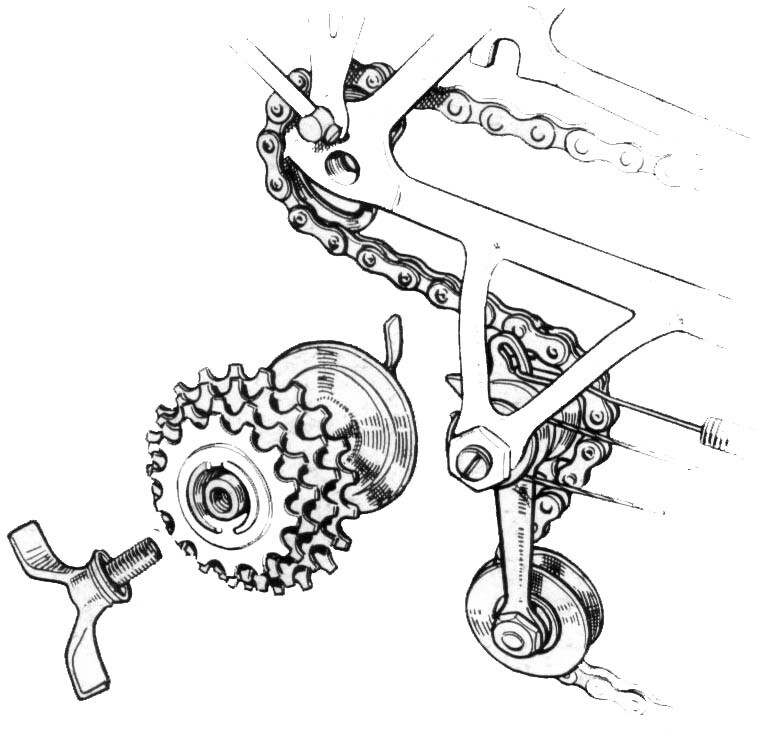 Alex Singer (and others) either ordered or modified Maxi-car hubs to work with Nivex derailleurs , which required a normal bolt-on axle on the non-drive side, but a wingnut bolt threaded into the axle on the drive side. On this hub, you can just see the threading into the drive side of the axle, and the little concavity which fits into the special Nivex dropout, guiding the wheel into place. 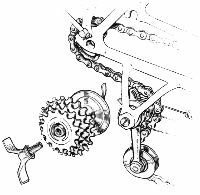 The advantage of the Nivex system (as far as wheel removal) was that you could shift the chain onto a "reposé chaine" (aka portacatena to campy people), and remove the hub without getting your hands all mucky. 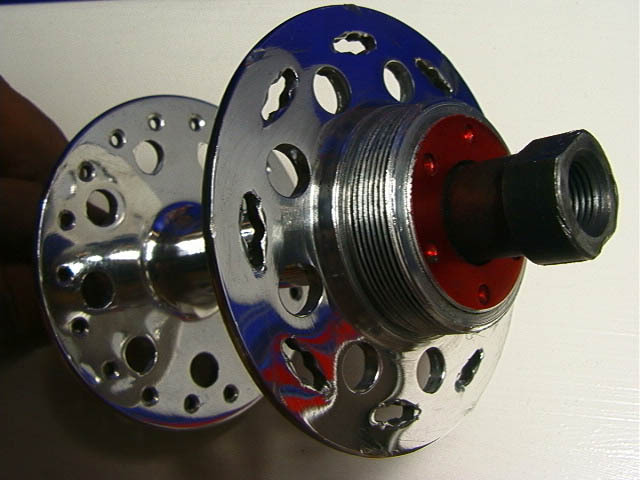 Drum brake hubs were also modified in this manner. 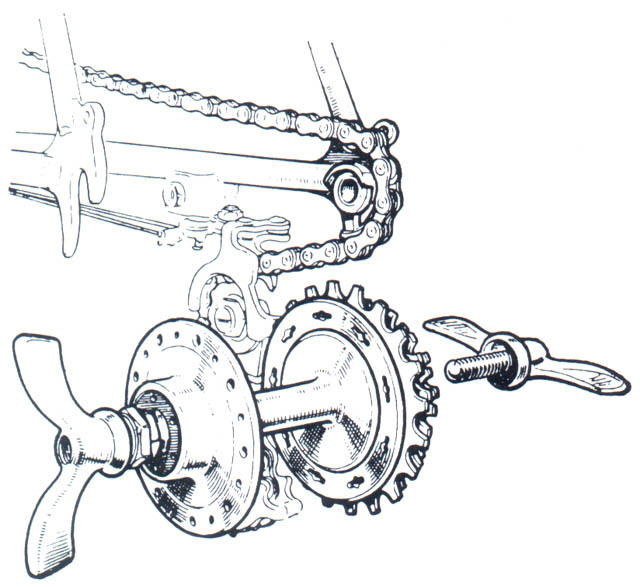 The hub shown above, while not a Singer modification or for a Nivex derailleur, is of similar design. 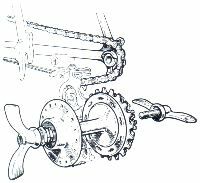 Fitted by the framebuilder Longoni, its modified in the same way, but to work with a more conventional Cyclo derailleur - I'm mainly showing it here for comparison.